Gujarat is located on the west coast of India surrounded by the Arabian Sea in the West which gifted this city with the longest coastline of about 1600 km. The coastline of this state is renowned for its long sandy expanses, azure sea, unending stretch of palm trees and beautiful scenic locale. This is among the most popular beaches of Gujarat renowned for its golden soft sands and pristine clear waters. It is located behind the famous Somnath Temple in Gujarat and visited by scores of tourists and devotees around the year from several parts of the world. The beach here is relatively clean and well-known for its clear and impeccable sunsets. The foremost attraction of this place is the Somnath temple. Based on the mythology, it is believed that the Somnath temple was originally built by Somraj, the Moon God himself out of gold then rebuilt by Ravana in silver, then by Krishna in Wood and by Bhimdev in stone. Somnath Temple stands as a symbol of rich cultural heritage of India. This is one of the 12 Jyotirlingas or religious Shiva shrines of India which is mentioned in several scriptures, especially in Rig Veda. It is also known by several other names like Deo Pattan, Prabhas Pattan or Pattan Somnath. Based on its location in Veraval, this beach is also known as Somnath Veraval Beach in Gujarat. During religious occasions, the beach is thronged by thousands of devotees who come here to take a dip in the seawater. The Veraval port which is known for its various trawlers and country crafts present an attractive and interesting sight of unloading their day's catch in the evenings is among the foremost attractions of this place. Along with this, the Veraval Beach in Gujarat houses some of the most sophisticated seafood and north Indian food restaurants to serve the various palates of tourists. The popular activities which can be enjoyed by tourists during their visit to this place are camel and pony rides, swimming and several kinds of water sports. This is one of the finest beaches in India stretching around 6-km and provides utmost relaxation to visitors and ideal place for water sports. It is located in Ahemdpur Mandvi, which is the historic port town of Maharao of Kutch. The most striking features of the beach are its soft sand, pristine waters, chirping birds and fascinating fishing hamlets. The amalgamated beauty of azure sea, silvery sand and glittering sun makes it a perfect place to enjoy the solace. The sea waves of this place are calm which make it a perfect place for swimming and other water sports. Various water sports are offered like water scooters, skiing, surfing, parasailing and speedboat ride. Scores of tourists visit this place so that they can enjoy the scenic charm of nature along with thrilling water sports. This is another popular beach of Gujarat located in the Bet Island, about 30 kilometers from Dwarka. The beach is situated in a secluded island in Dwarka where tourists reach after a 30 minutes ride on a ferry from the jetty of Okha. This beach is spread over an area of four kilometers which covers the distance between the land of Okha and Beyt Dwarka Island. The attractions of this beach island are centered on temples, a coral reefs, and bountiful marine life. The foremost attraction of this place is Dwarka, the city of legend, which is believed to be the dwelling place of Lord Krishna. 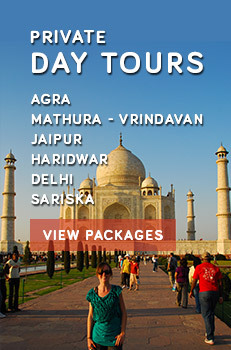 It is mentioned as a golden city in many ancient Hindu scriptures like the Gita and Puranas. The other charming feature of this place is a variety of water birds along the sea shores which impart a charming feel to the surroundings of the beach. During the low tide, tourists get an opportunity to see several marine species like dolphins, porpoise, sea turtles, octopus, starfish and sea urchin. 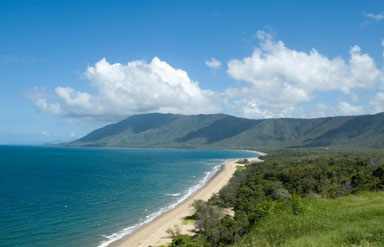 The other attraction of this beach is the coral reef which also enthralls tourists during their visit to this place. 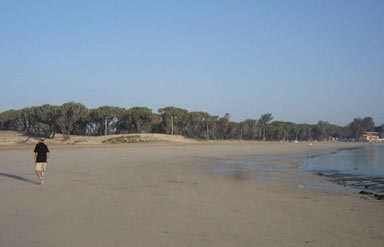 This is another splendid beach situated at a distance of 66 km from Junagadh. It is a small fishing village, a great place to enjoy. The alluring charm of this magnificent beach based in its dramatic feature of rocky shores. The speckled beauty of azure sea, silvery sand and scattered rocks around the seashore heightens the charm of this beautiful place. Because of its isolated location, this place is visited by scores of tourists from several parts of the globe who want to spend pleasurable holidays amidst serene and scenic ambiances. Apart from the scenic charm, the most famous attraction of this place is the royal summer retreat of the pleasure-loving Nawabs of Junagarh. This imposing Chorwad Palace and its lovely expanse of beach heighten the scenic charm of this place. This beach is situated off the Saurashtra coast and is connected via a causeway through the mainland. It is a secluded island beach located 125 km from Junagadh and renowned across the world for its soft sands, wonderful waters, swaying coconut canopies, captivating churches and fantastic fort. The sea of this place is not too deep and waves are calm which make it a popular place to enjoy swimming in crystal clear sea. Along with this, tourist also gets an opportunity to enjoy the thrilling experience of several other water sports activities. The Diu fort, located near the beach, is worth visiting. This historic fort is a symbol of the power and living testimonial the glory of the 400 years of the British rule. Nowadays, this fort serves as a jail which can be visited with the prior permission of government authorities. Gopnath beach is other popular beach of Gujarat, famous around the world for its beautiful seacoast, spectacular limestone cliffs and diverse collection of birds that are found near the coast. This beach is located 80 km from Bhavnagar and is often flooded by tourists who want to enjoy their holidays amidst serene and scenic natural ambiances. This beach has palatial resort which was the summer home of Maharaja Krishna Kumar Singhji of Bhavnagar. The architectural beauty and majestic setting of this resort heighten the panoramic beauty of this place. Some of the famous attractions of this place are Talja a jain temple located on a 350 foot high volcanic hill, Alang is the world's largest ship breaking zone and 700 year old Gopnath temple. The most indistinguishable feature of this temple is its two colors white flag denoting a Vishnu temple and a saffron flag representing a Shiva temple. 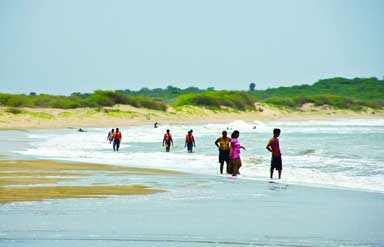 This is one of the finest beaches in Gujarat situated 60 km away from Bhuj district. It is also a historic port town of the Maharao of Kachchh and historical sea trade post between east and west. The Mandvi Beach is renowned for azure sea, vast sandy expanse, several bird species flying over the seacoast and beautiful fishing points. Next to the beach are the docks where tourists can see how the wooden ships are built. In the town tourists can see numerous old buildings and purchase beautiful handicrafts like silverware, kutchi embroideries, etc.